Six years ago, Michael Zakar and his twin brother Zach came out to their Chaldean mother, a devout Christian who is also extremely devoted to the family’s Middle Eastern values and heritage. She threw holy water on them in the hopes of “de-gaying” them. It didn’t work. 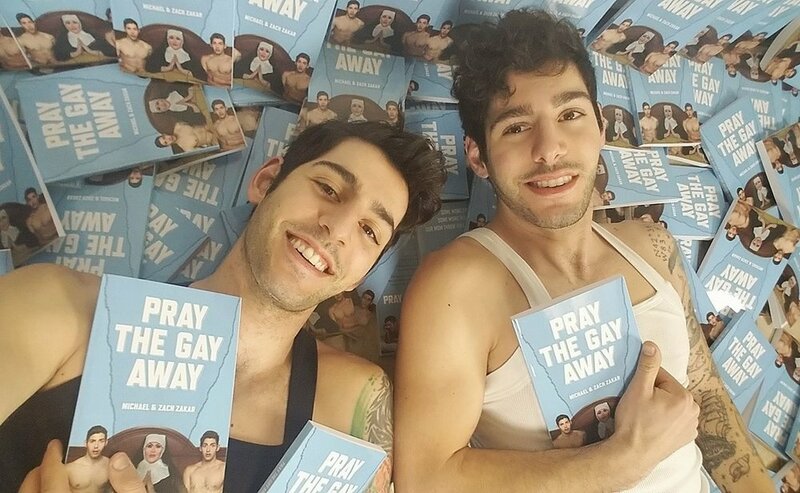 The twins, 25, went on to write about their experience in their first book Pray the Gay Away and on Mother’s Day of 2018, they published their second book, You Can’t Pray the Gay Away as a way to give parents the gift of acceptance.